Los Angeles Kings captain Anze Kopitar won the Selke Trophy as the League's best defensive forward at the 2016 NHL Awards on Wednesday in Las Vegas. 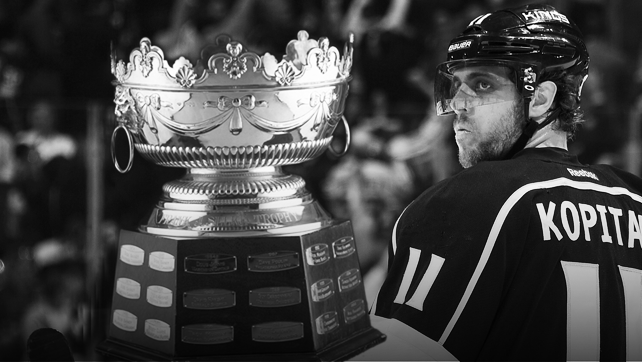 Kopitar, the runner-up for the award in each of the past two seasons, led all forwards in total ice time (1,690:12) and averaged 20:52 per game, including 2:09 shorthanded. He was fifth in the League in faceoffs taken (1,776) and ranked seventh in faceoff wins (950), with a 53.5 percent success rate. Kopitar, named Kings captain on Thursday, had 74 points (25 goals, 49 assists) and ranked second in the League with a plus-34 ranking in 81 games. Patrice Bergeron of the Boston Bruins, who had won the Selke Trophy the past two seasons, and Ryan Kesler of the Anaheim Ducks were the other finalists.